Have you ever read a book and felt an instant connection to the main character, well for me this has only happened once and that was a Historical Romance and now this book. The reason being is that Grace's mum has passed away and my own mum passed in 1985 when I was 19, Grace is older when her mum passes...but the similarity was very much the same. Because we both speak to our mums, and yes I have had some weird looks. 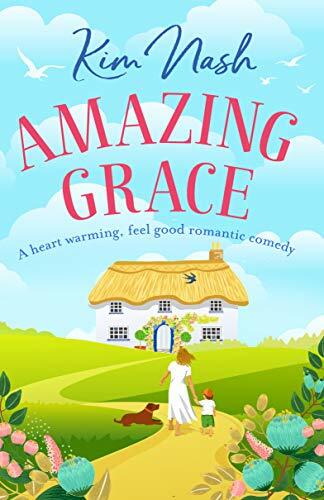 This book will make you laugh, especially the date scenes, and you will definitely cry, not just at the bits were Grace's mum is writing to Grace...but also happy tears and there are few touching moments, one especially with Vinnie and Archie, yes my heart went awwww. 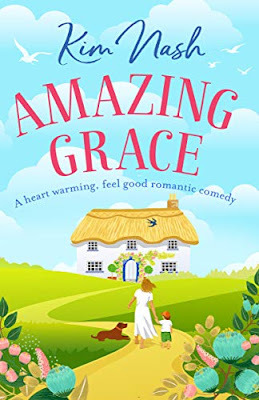 I loved all the characters, except one Mark the ex-husband, there was many times I seriously wanted to slap him, I won't say much and let me put it this way by the end Grace definitely puts him in his place, and yes I cheered because he deserved it. I must also say that Monica is the type of friend everyone should have, she is funny, loyal and above anything else she will always have your back. What did surprise me was this is Ms Nash's debut book, I did go looking on Amazon to check past books, and I can't wait for the next book. I give this book 5/5 stars, I would dearly love too give more. This book is on pre-order at Amazon UK and is released on 10th April.